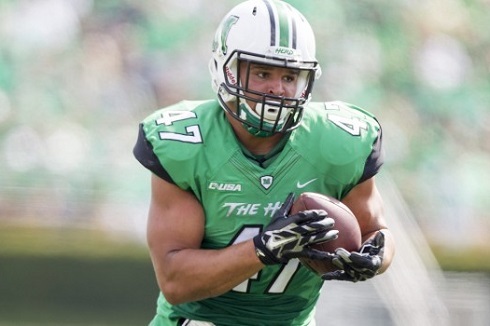 According to Metronews, a twitter account associated with Richlands High School in Virginia has reported that former Marshall running back Devon Johnson has passed away at age 25. Johnson was a catalyst on the 2014 team that finished 13-1. He rushed for over 1,700 yards and scored 17 rushing touchdowns in that season. Click HERE to see the actual Tweet and a few additional details.